Hyundai’s clearly on a roll. With a near embarrassment of debuts, including the Genesis, Genesis Coupe, Equus and all-new Sonata, the company’s star is rising – and so are its sales. And now here comes the Sonata we’ve all been waiting for: the turbocharged version. 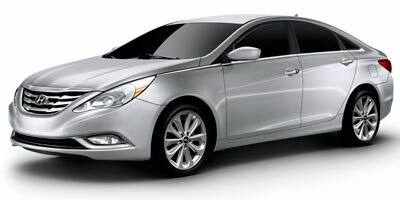 In introducing this new model, Hyundai may have outdone themselves, not to mention their competition, yet again. Not a company to rest on its laurels, Hyundai has added a lot more power and get-up-and-go to the recently redesigned model. For 2011, this Sonata replaces the typically larger engine with a turbocharged four-cylinder that produces more horsepower and better fuel economy than the six. The Turbo has all the right components to bring a bit of excitement to the mid-size sedan segment. As with all the other 2011 Sonata models, a redesigned exterior and interior, improved fuel economy and a more luxurious look and feel are aces on the 2011. We love the new engine option too. Even at the base price, the Sonata comes with a large number of standard features. 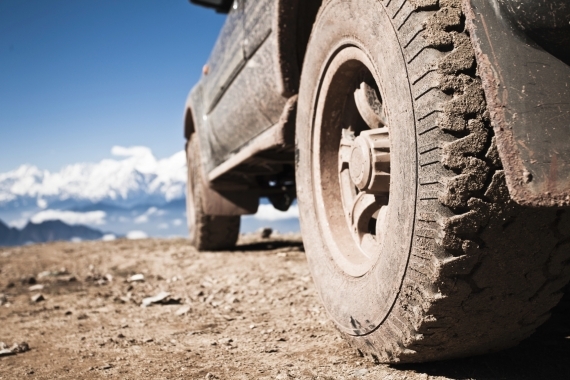 A retuned suspension creates a better drive as well. The 10-year/100,000-mile warranty is the best in the biz. The engine, while fast, is a touch loud at highway speeds. The touch screen is also a little too small, and we find the navigation system a tad bit lackluster. We wish that a manual transmission were an option. While we liked the base 2011 Sonata when we drove it in late 2010 and we thought the 198 horsepower and 186 lb-ft of torque 2.4-liter did a nice job of motivating the car down the road, we like the Turbo model even more – 274 horsepower and 269 lb-ft of torque more, to be exact. With the new turbocharger, the Hyundai uses everything from last year’s bottom-up redesign and adds a measure of spirit to the already fun drivability of the Sonata. Now the Sonata feels more energetic, especially in its sporty SE 2.0T version, which, oddly enough, is the lower base model. We’re lamenting that lack of a manual transmission, but the automatic shifts smoothly and is geared well. The Sonata 2.0T drives like a car that costs a lot more than the sticker would suggest, but now faster! The Sonata 2.0T receives a newly refined engine that boasts more power and sophistication than the inline-four with which the Sonata was launched. With 274 horsepower and 269 lb-ft of torque, the new 2.0-liter four-cylinder turbocharged engine has some neat features like twin-scroll turbocharging and direct injection to give the car both increased power and better fuel economy. The engine is mated to a slick six-speed automatic and a manual is not an option. As always, the Sonata is front-wheel drive. 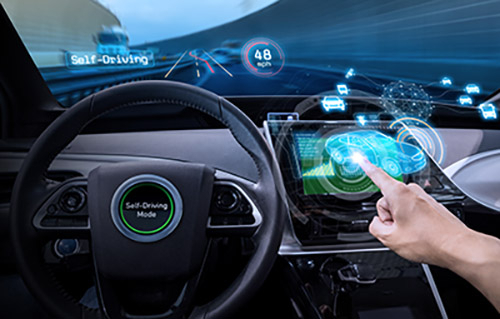 Considering its starting price, the Sonata is equipped with a huge amount of standard features, including push-button start, power locks and windows, iPod/USB integration, an auxiliary jack, Bluetooth connectivity and XM satellite radio. From here you can equip your Sonata SE with one main package option – a $2600 Navigation and Sunroof Package. 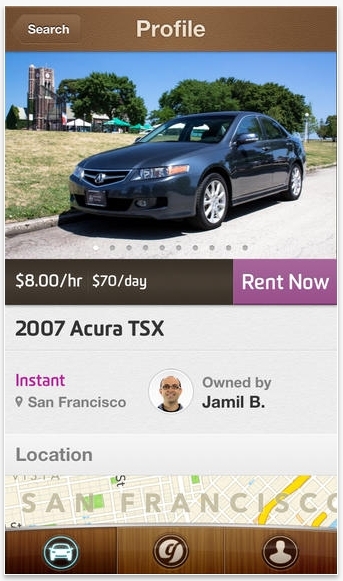 The Limited just offers the $2,100 Navigation system as an option, as the sunroof is standard. Hyundai’s all-new 2.0-liter Theta II turbocharged GDI engine is a pretty marvelous piece of machinery and is part of Hyundai’s Blue Drive push – their commitment to fuel economy and emissions. While the rest of the car may not be super high tech, for a mid-sized economy sedan, we welcome all the features it does have. In the absence of a V-6 engine option – that turbo really saves in gas - the mileage gets an impressive bump. Fuel economy numbers are remarkable considering the power. The Sonata 2.0T gets an impressive 22/35, which is down only slightly from the 24 miles in the city and 35 mpg on the highway that the regular model achieves. 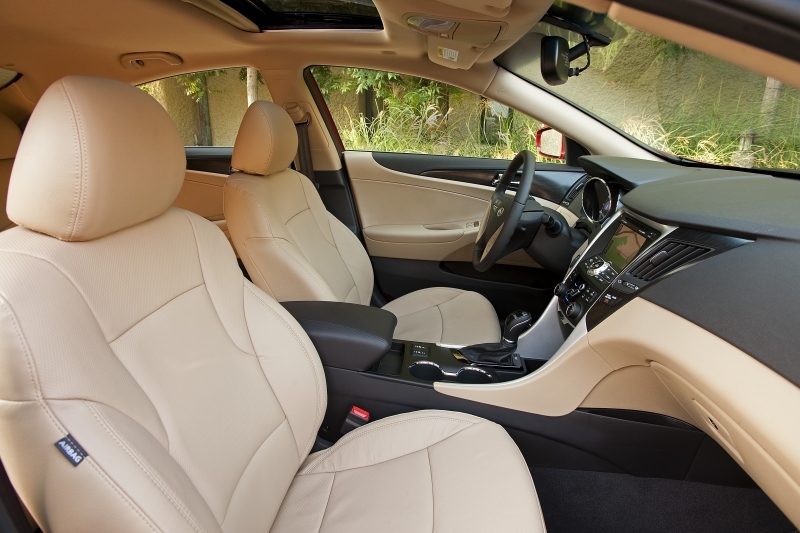 Hyundai has made a habit of improving their interiors with each generation. Simply said, the driver’s seat is a beautiful place to be. The modern, high-quality dashboard rises out of the center console and is laden with soft-touch plastics and chrome accents. While the seats could be a little more supportive and some of the buttons are tough to read at a glance, overall we are impressed with the level of refinement found in a car that starts under $25K. Hyundai has been working extremely hard to rework the exterior styling on a number of their vehicles, and the Sonata is no different. What was a previously bland and unexciting exterior has been hugely improved with hints of Volkswagen CC, Mazda 6 and Lexus ES. 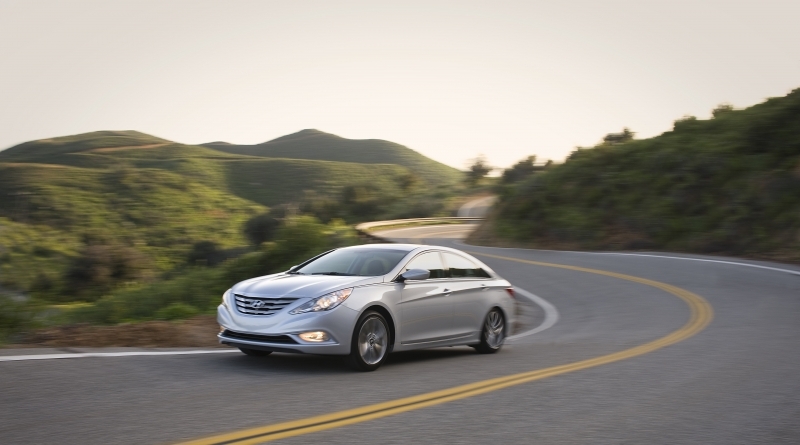 The sweeping, coupe-like styling gives the Sonata an upscale road presence that is echoed throughout the cabin. Pricing for the Hyundai Sonata 2.0T starts at a reasonable $24,145 for the SE 2.0T and $27,045 for the Limited 2.0T, which is a $1,550 jump from the base model SE, a pretty great deal if you ask us. A fully loaded Sonata Limited 2.0T, complete with rear-view camera, navigation and sunroof won’t break $30K. You’ll be hard-pressed to find a better deal for this level of refinement. At this price, the 2011 Sonata competes with the likes of the $27,830 Honda Accord EX-V6, the $25,650 Toyota Camry LE V-6 and even the smooth-as-silk $27,760 Volkswagen CC. Like we said when we drove the base Sonata, we like to think of the Sonata as a mini-Genesis, which is a very good thing. You can really feel the billion-plus dollars in R&D Hyundai put into model, and even more so now with the new turbocharged engine under the hood. 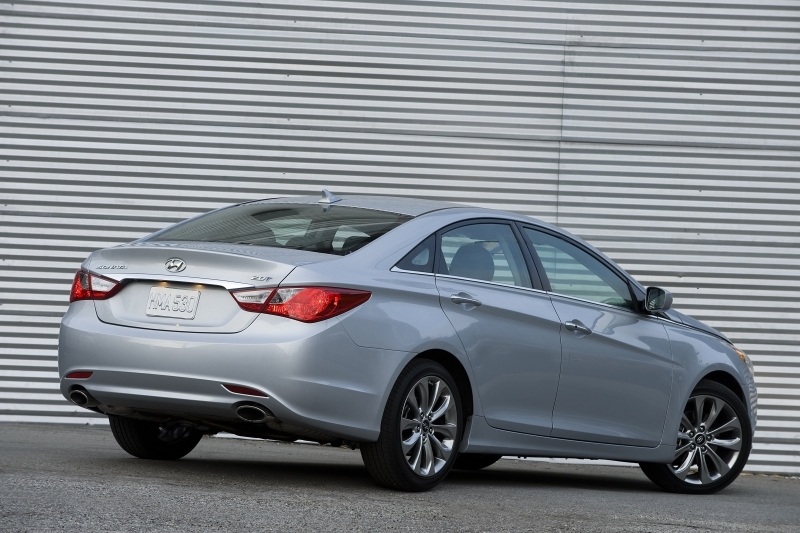 This generation really feels like it’s the first Hyundai to give the Camry and Accord a real run for their money. The Sonata would be a perfect cross-shop for those looking for a mid-sized Japanese sedan with the added bonus of turbocharged power. A class leader and a great buy for 2011.